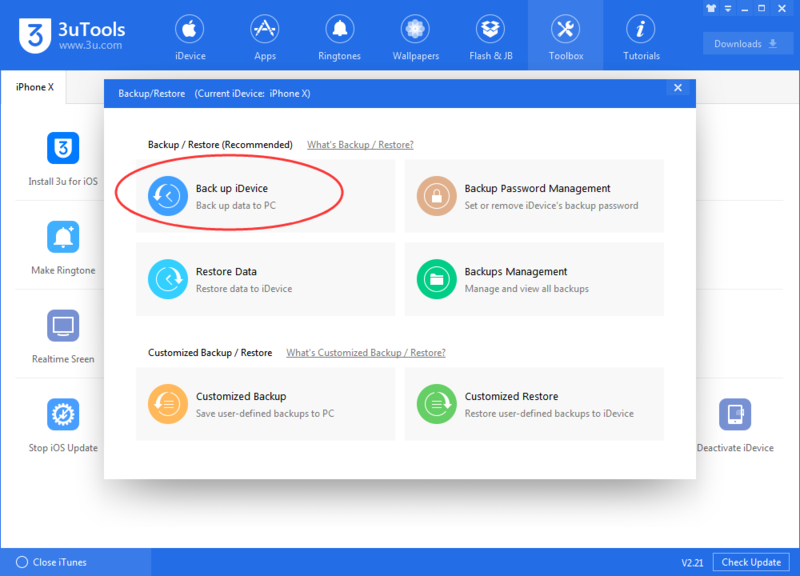 tutorial|How to Use Back up and Restore in 3uTools? How to Use Back up and Restore in 3uTools? Which data you are not able to back up? 3uTools can help you backup almost all data, but here is a list of content that you can not back up. 1. Contents in the iTunes Store & App Store (including all the Apps), and the PDF downloaded to your iBooks (you can choose to back up these contents in your iTunes). 2. Data you synced from iTunes, such as MP3, CD, video, books & photos. 3. The photos stored in iCloud, such as My Photo Stream & iCloud photo album. 5. Apple Pay information & settings. 6. "Activity History", "Health", "Keychain" data (if you want to back up them, you only choose encrypted backup). Step 1 Connect the iDevice to the PC, find "Back up/Restore" in 3uTools. Let's do a whole back up for your device. The more data need to be backed up, the more time will be needed (sometimes it may cost hours), please wait patiently for the backup completed. 4. Backup saved from the higher iOS version iDevice cannot be restored to a lower iOS version iDevice. Step 1 Connect the iDevice to the PC, then click the "Back up/Restore" from Toolbox and click the "Restore". The more data need to be restored, the more time will be needed, please wait patiently for the restore complete. Step 3: After data files were restored successfully, please don’t unplug iDevice. Please wait for the iDevice to reboot and then choose if you need to restore apps. 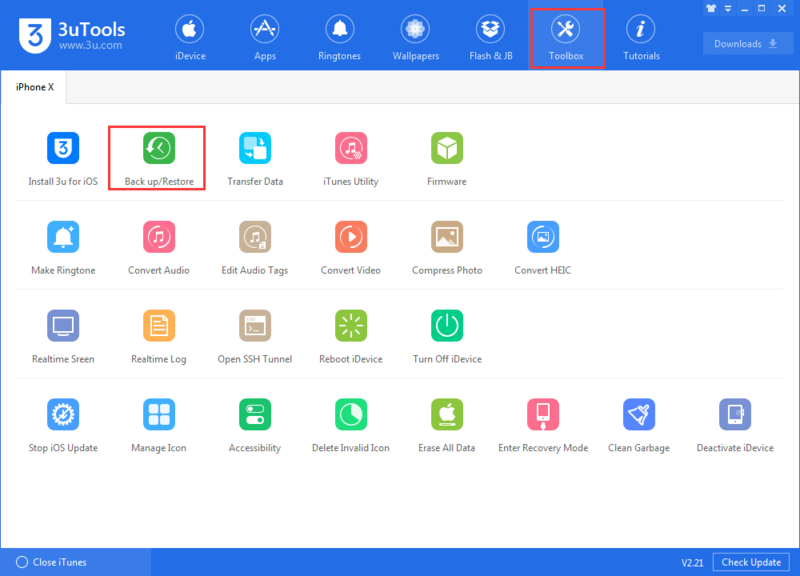 3uTools will download and install the apps you have restored to your iDevice, you may view more details in Downloads. How to Restore a Disabled iPhone Using 3uTools? How to Fix iPhone Error 3014 When Restoring iPhone? 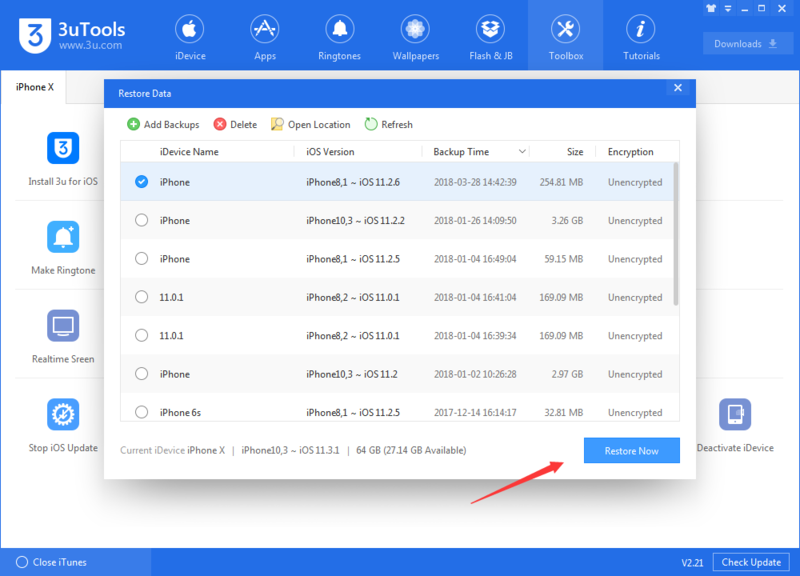 How to Restore iPhone Data From An 3uTools/iTunes Backup? How to Use 3uTools Backup Password Management? How to Search Message in 3uTools Backup Viewer? Can’t Restore Backups After Downgrading iPhone From iOS11 to iOS10.3.x? How to Change Backup Location? 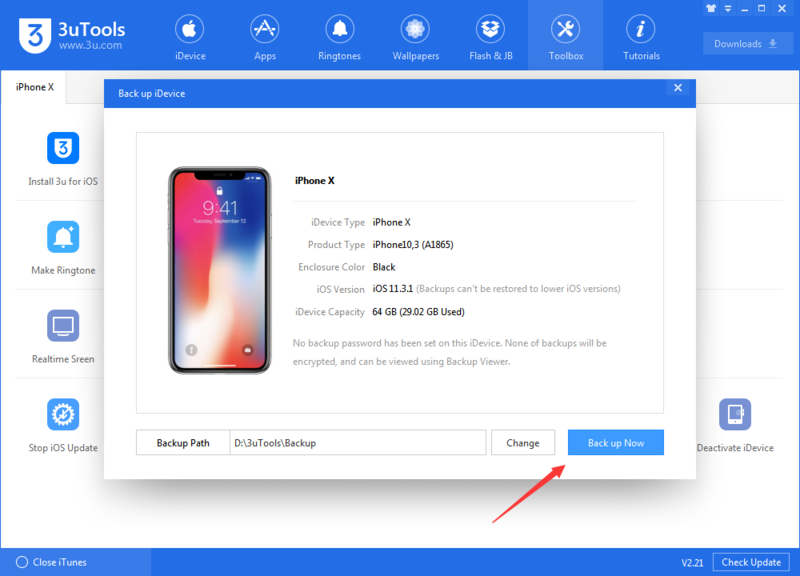 How to Back Up Your iPhone to Computer?